Our solicitors provide advice on all matters concerning wills estate planning. 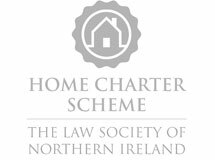 We also provide advice on drafting of Enduring Power of Attorney and Controllership applications to the Office of Care & Protection. Making a will is one of the most important things you will do in your lifetime. Making a will allows you to clearly set out your wishes regarding disposal or your property, appointing a guardian for your minor children. Our solicitors will guide you through the process and draft your will according to your own wishes. An enduring power of attorney allows you to appoint someone to look after your affairs in the event that you become incapable of managing your affairs yourself. Your appointed attorney cannot take any action in relation to your affairs until such times as a doctor confirms you are incapable of managing your affairs. If a loved one has become incapable of managing his or her affairs due to illness or injury an application can be made the the High Court for a controllership order to appoint someone to manage his or her affairs. The appointed controller is usually a friend or relative. If you are seeking to make a will or if you require advice in relation to an Enduring Power of Attorney or Controllership Application please contact us by telephone or using our online enquiry form. Advising on deeds of variation / deeds of family arrangement. If you require advice in relation the estate of someone who has died please contact us by telephone or using our online enquiry form.